Susan Powers says "Stop the Insanity"!! The spotlight continues to shine bright on the real estate industry and the focus of many newspapers, magazines and news programs have mainly been one sided with the almost exclusive position being spoken about is what will the affect be with the new changes for a) consumers; b) what the future holds for real estate agents and brokerage companies. I get why the media is almost entirely choosing to cover one angle of this story and that’s because it sells papers, advertising and viewership. That’s the name of the modern media game where it’s dog-eat-dog (much like my industry) and fueling the hype is what puts the food on the table. No matter that the message being spread (not reported I add) is often flawed, or worse, entirely one sided and self serving but come on media people, wake up and get a conscience! Go out and find a few respectable, professional hard working Realtors and ask them their thoughts. Not just the discount brokers who at best maybe represent 1% of the 100,000 real estate sales people across Canada that are now having to deal with these new rules and the constant one sided reporting you have slanted reports have created. It seems over the past few years any bit of positive real estate information to be published from any of the big real estate brokerages is met with some surefire opposing opinion critique (mostly opinion) by main stream journalists and publications. And it almost always reeks of the same rhetoric. Reports published like the recent condo market findings by Re/Max Ontario/Atlantic is most obviously biased and self serving (Toronto Life online John Michael McGrath November 2nd) because that’s what all us “real estate” sales people, brokers or companies do. Pass along only one sided (read self serving) information to paint a picture that will allow real estate agents like me to go out and sell more houses. sales activity, with 78 per cent of markets posting an increase in year-to-date sales (January – September 2010 vs. 2009)—with percentage gains outperforming overall residential sales in most markets examined. Okay so how does the rest of my appointment go? Well two and a half hours later (yes you read correct!) my clients are now much more educated about their options on selling their home. At this time I tell them I’m not offering the low flat fee service model of “list you and leave you” and that I am sticking with the model I have been using for over fifteen years successfully looking out for my clients biggest financial asset. Sure I could take a couple of thousand dollars from you and say “all the best” and guarantee myself a nice little annual income. But only I would be winning in this scenario. I would rather stick by the formula that I know works and is of benefit to all involved. I have always offered a variety of commission fee options that my clients are free to choose from and have been a bit of an industry leader on this in my opinion. It must work because for the past eight years 94% of my entire business has come from past clients and the referrals they so kindly introduce me to. So to continue we pick back up with me meeting with my clients to discuss the selling of their home. From the moment I arrived at their house I could sense although they were really happy to see me (we had remained in touch through email and phone conversations but we haven’t seen each other in a couple of years) their was some obvious tension on their behalf. Being first time sellers they had a lot of questions about how the selling process worked and whether they should buy first or sell first since they would be needing another home. As I answered their questions I could feel the tension from the onset disappear and become replaced with a level of confidence and relaxation. When the conversation turned to what it would cost to sell their home the tension started to come back. They admitted to me at this point that being first time sellers they didn’t know what to expect cost wise and that with all of the recent media attention with regards to the Canadian Real Estate Association they had heard that selling your home and the costs involved had now dramatically changed. Today I had a listing appointment with past clients of mine who purchased a house with my assistance four and a half years ago. They were first time buyers back then and I still remember vividly on the night of our offer presentation the frantic nerves and anxiety as the reality of being involved in a multiple offer situation (media slang would be bidding war) was quickly settling in. That night almost five years ago we ended up competing against six other interested buyers (yes the house was purposely listed below market value to attract such a scenario) and our offer ended up being the one chosen by the sellers as the best offer. Today somewhere in Newfoundland member real estate boards across Canada voted 97% in favour to the rule changes set out by the competition bureau in its investigation into the “monopoly” of the CREA. So what does this mean now? Mainly that licensed real estate agents can now offer services and fees similar to what FSBO (for sale by owner) companies have been offering to sellers who have opted not to use the services of a real estate agent to list their home or property for sale. It’s important to note that even though the seller in the past has tried to sell privately, in most instances a fee was paid to the agent representing the buyer. So in essence, a real estate agent was involved in selling the house, just not in listing it. Let’s see the future of FSBO companies now that a seller can get more exposure for the same expense by using a licensed real estate agent! Now were talking monopoly!! The federal government is once again looking at tightening rules in the Canadian mortgage market, according to a source close to the situation. Finance officials are set to meet in Ottawa on Monday with some of the country’s leading economists for pre-budget discussions and the subject of whether to tighten housing regulations may come up. Buying a new loft or condo? Caveat Emptor! Recently I have been dealing with a higher than average amount of frustration regarding brand new lofts and condos purchased by both clients and myself (yes even a real estate insider is not totally void from some mishaps). 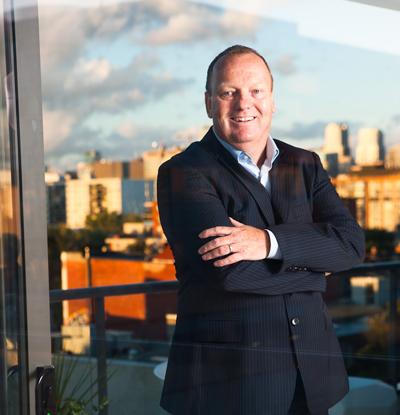 A little background information…every year I typically assist a half dozen or more clients with the purchase of brand new construction of either lofts or condos in the downtown Toronto area. The new condo/loft real estate market has been a busy one alongside the robust market conditions being experienced in the resale market. Pre sales that were written three to four years ago are being completed and coming into the marketplace in 2010. I was speaking with a colleague last week about TD Bank’s switch to collateral-charge mortgages and the anticipated affect it would have on TD’s mortgage business. Would this monumental change increase the banks mortgage portfolio or would the lender become out of favour with independent mortgage brokers who may look at this move as an attack on their business model? “I don’t know I replied” and truthfully, I don’t much care. What I mean by this is that as a respected real estate professional my focus is on my client and their needs. New products that a bank comes out with to increase their business is good for competition. Competition leads to choice, and more choice is better in the end for the consumer. I get this and I think its great. We all are consumers in one way or another on a daily basis. Part of what I do as a real estate professional is to make sure I am up to date with current finance options that are available to my clients and that would be of the ultimate benefit to them. Personally I get my mortgage information from two sources and neither one is the newspaper. The first is a very well connected mortgage broker whom I’ve been associated with for over 15 years. The other is a personable and connected bank manager whose employer doesn’t use the services of outside mortgage brokers. Both are active committed professionals in their fields and communicate regularly with me on the goings on in the mortgage finance world. There is too much information coming at us on a daily basis that it would be impossible for anyone to try and master the many areas of complexity that make up the entire real estate market. But by working with an active, committed real estate professional (yes I mean me) who has aligned them self with like minded mortgage brokers/banks, real estate lawyers, home inspectors and various other trade professionals the consumer can be assured that all areas they need advice and guidance in when buying or selling a home, is covered in an exceptional way.